We are excited to announce that Era of Celestials has released a massive game update in King’s Continent on Aug 25th. The update has plenty of new contents, including new gameplays, new event, as well as new mount and costumes. Check it out to see more details about them! 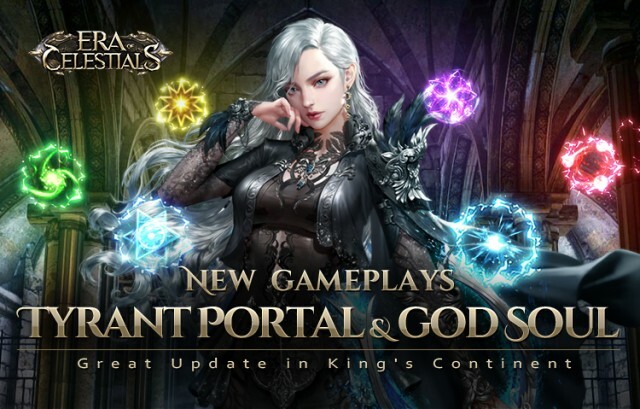 Description: Click “Event” and find Tyrant Portal in Daily Event to enter the gameplay. Players are expected to erect Guardians to defend against invading monsters to gain vast amounts of EXP and God Soul Training Materials (God Souls and Soulstones). God soul can be equipped, upgrade, crafted and dismantled, which can make players’ BR soar. 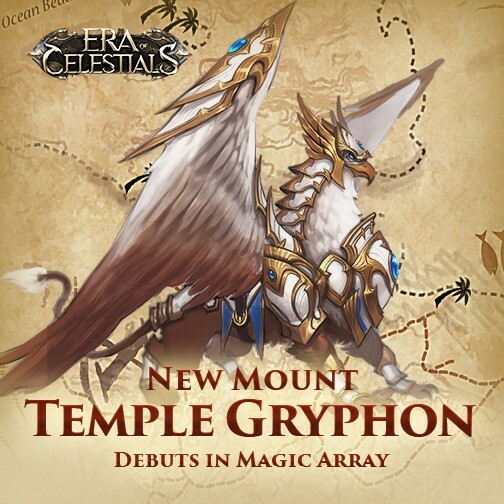 During Aug 27th to Aug 30th, players in servers which has been opened over 10 days can join the Magic Array to claim the fantastic Mount - Temple Gryphon. Come on and accumulate your felicity to win great prizes! 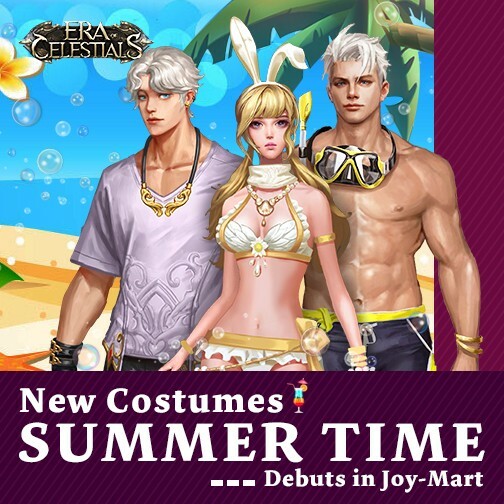 Players can claim Joy-Coin through accomplish Joy-Task, and use the Joy-Coin in Joy-Mart to buy Top-level items, including the new costumes – Summer Time. The products in Joy-Mart will auto refresh every 8 hours, and players can also use 10 diamonds to refresh immediately. Please check the details about all the above updates in game, and stay tuned for more exciting updates on the way! We wish you enjoy all the new features in our game!